Married : Reception dais & canopy | escaped. I'm determined to finish my wedding prep posts at least before I give birth, so here's one of them. 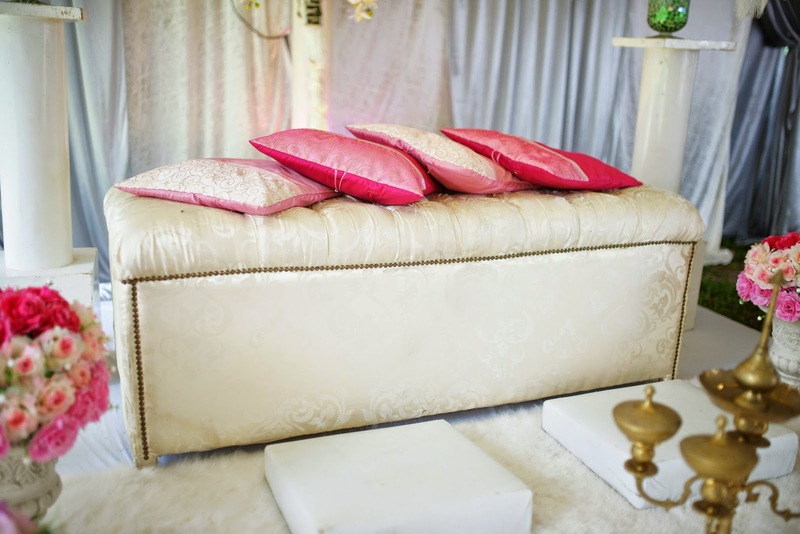 Had to re-browse the wedding photos to recall some of the events (pregnancy brain sigh). It's a longg one, I warn you. Thank God I didn't puke. 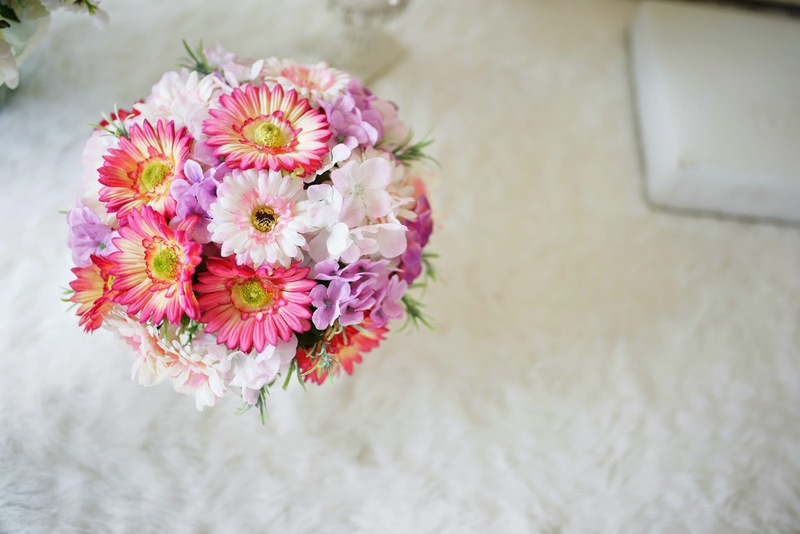 For the reception dais, I decided to do a little bit differently from my sisters. 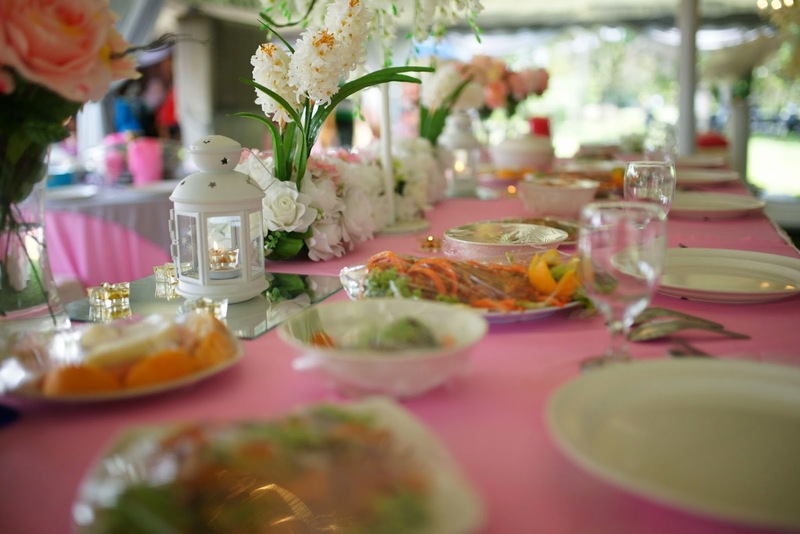 Most caterer vendors in Penang do make dais for pelamin and the caterer food usually comes with their own tables, table setting, pengantin's high table, VIP tables and canopies - it comes as a package where you would get discounted price as a whole. Unfortunately for me, I couldn't decide on caterer. I had no time to go back to Penang, set up meetings with the caterers and discuss on the all of the above - food selection is not my forte; it's my Mum's, so at the very last minute I decided to let her decide. Was very very nervous on that - because as much as I trust her instinct on other choices (e.g my makeup artist), my concern was on the canopies and dais, mostly. 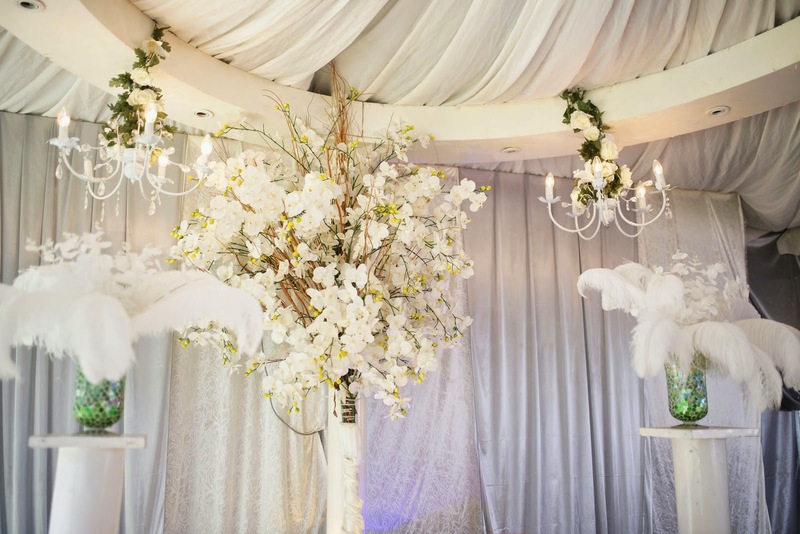 I knew she won't understand my preferences for both, as she tends to get a bit carried away with choices and all I wanted was a simple all white dais with lots of flowers. So I asked her to send me the caterer's catalog for pelamin dais, table setting and canopies. I was disappointed. Nothing the caterer has offered was up to my liking, and Mum already booked the caterer for the food. 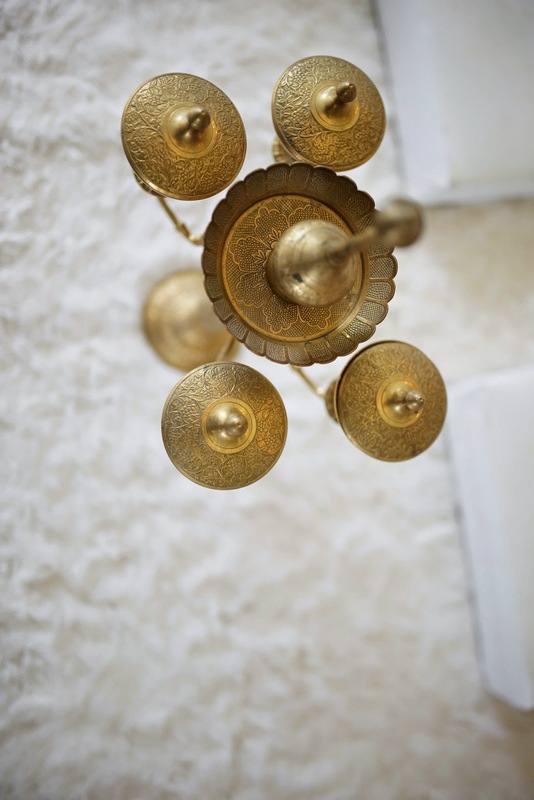 So I began searching online for good vendors for canopies, hoping I'd find one who can give me equally good pelamin dais for a good price in a short period of time. 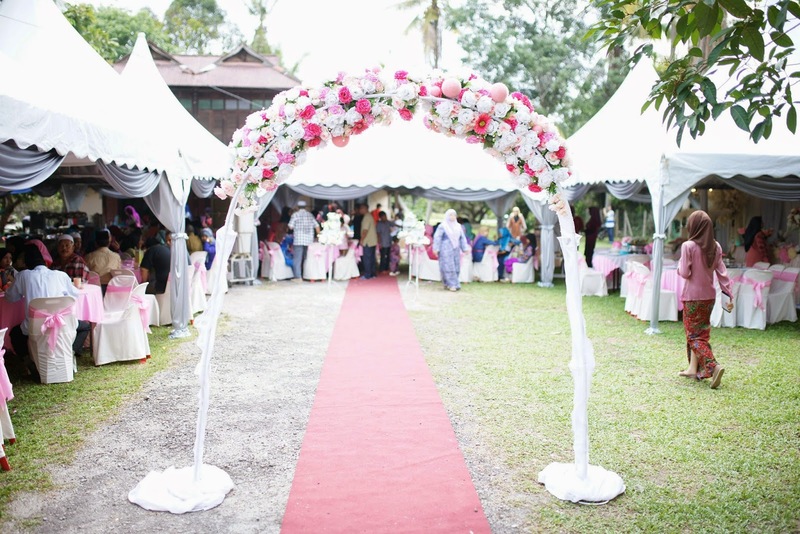 Then, out of a sudden my cousin sent me a link on a vendor based in Sungai Petani specializing in canopies - she has witnessed one of their works and one look at their Facebook site made me fell in love. They have a wide range of canopy types - they even make transparent ones! In Penang, transparent canopies are not that common compared to KL, so I knew this vendor has their specialty. So I contacted them, inquired about the their package range, received response almost immediately complete with an official sheet of all their packages. Best of all, the price range is very affordable (because Penang rate is not as expensive as KL) so I settled for them, completely relieved I didn't have to take the caterer's package. About a month before the wedding, the vendor sent me the sketch and plan of the canopies and dais. I told her the color theme which was dusty pink and grey, and it was up to her to use the color scheme for the whole wedding. The whole theme was fairytale wedding and I asked her to use a lot of white and flowers for the dais (leaving chair ribbons and wraps for dusty pink and grey), but she used the colors for a bit of the flowers for fear of looking too white and plain, and I'm happy with the change. I still have the white I wanted! 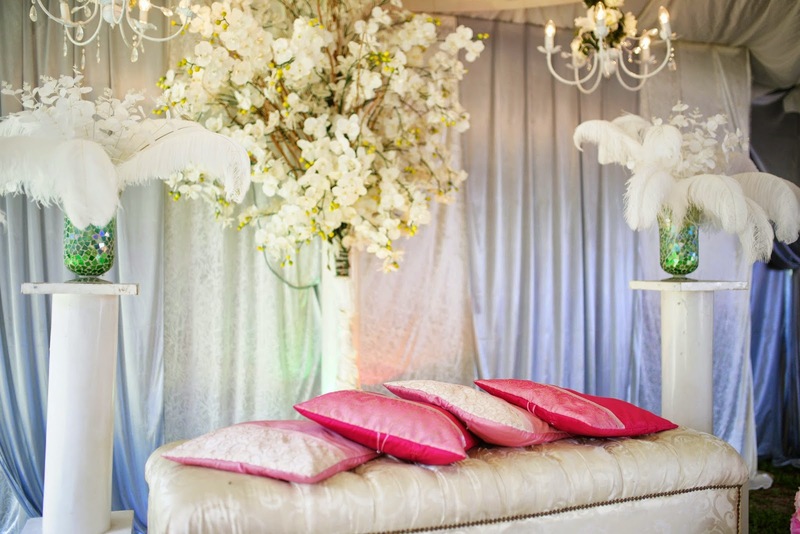 After getting the plans of the canopies and sketches, I made sure with the vendor on the accessories I get with the dais - the type of chair I wanted, merenjis set, flower vases, chandeliers, pink small cushions and white fur carpet. IMO it is better to have it in black and white on what items you're getting - for clarity's sake. Also, I didn't request for a red carpet - just realized it was in the package when they sent me the canopy plans haha. Bonus point! What I love the most about the canopy was, they also provided under layers! It was one of the important things I stressed to Mum about hiring a different vendor for the canopies - I wanted one which can provide the under layers under the canopies to make them look more appropriate. 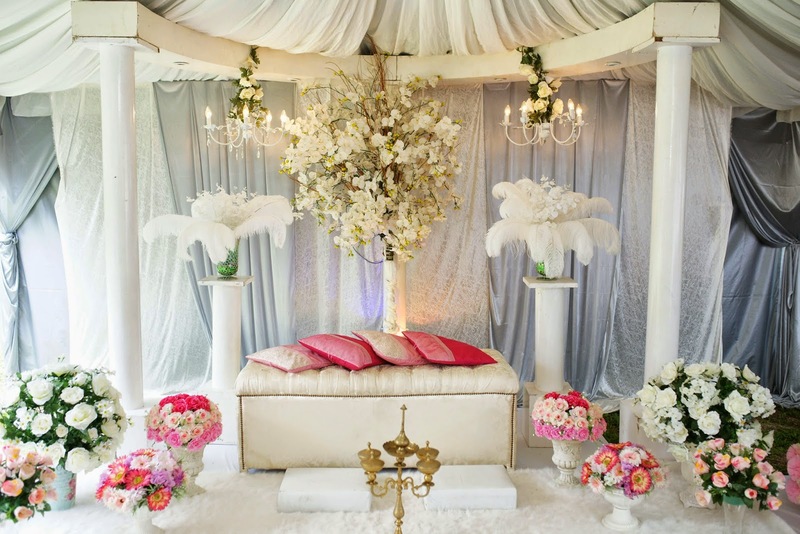 The vendor did a good job putting them all up together - even came with chandeliers in the middle of the under layer for the dais canopy and pink flower bouquet for the guest canopies. Came with the canopy package. I was relieved that they designed the whole setting matched with the dais - something I would not have gotten had I asked the caterer to do it for me. I think the most critical thing about hiring two different vendors for food and canopy is integrating both sides to achieve a synchronized result. 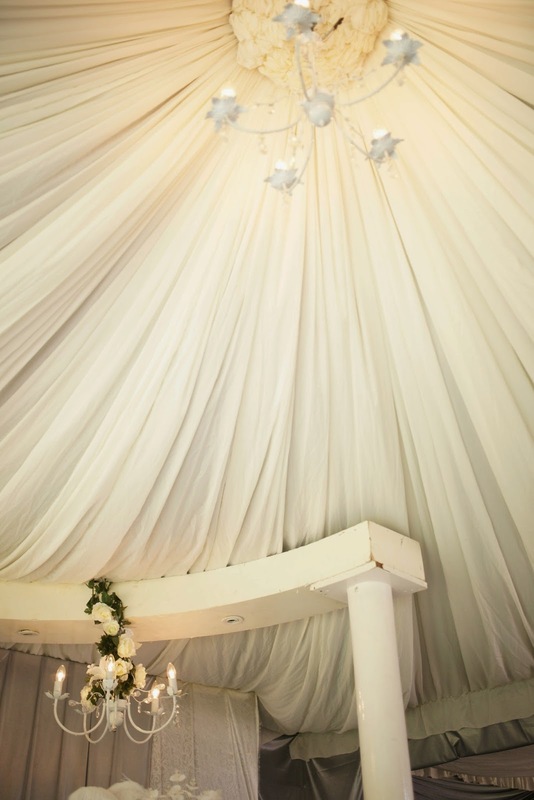 For example, we had a problem with VIP tables which we discovered a day before the wedding - apparently the dome set (where the caterer put the VIP food) was too big for the VIP tables, which was provided by the canopy vendor. The tables came with the canopy package, so we didn't take the caterer's VIP tables - which would have fit the dome set. The solution? 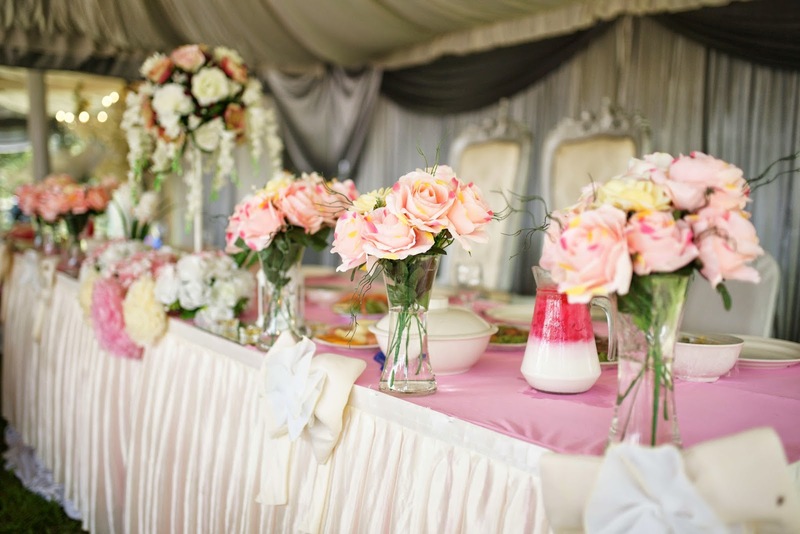 We managed to persuade the caterer to provide THEIR VIP tables, while asking the canopy vendor to take back theirs at no cost. It's not nice to change things at the very last minute, but there was nothing we could do to rectify the problem - and we're so lucky that both sides are happy to cooperate. Even though some things have changed, everyone was happy with the result on the wedding day. Everything looks perfect! The food was amazing, I had everything I wanted and relieved that Mum accepted my decision to go for different vendors. And to top it all, the cost I paid to both vendors combined are still less than what my sisters had spent for theirs (they took both the canopy and catering from the same vendor). Big achievement for me! 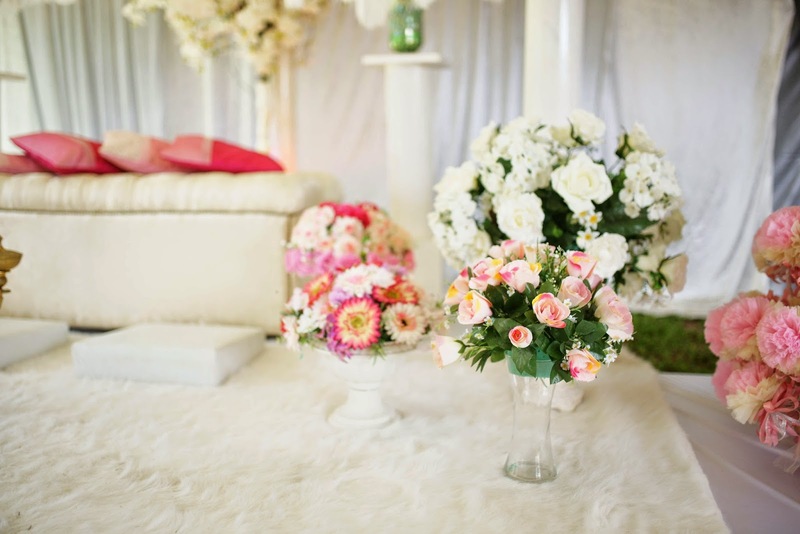 If you're looking for a good canopy vendor in Penang or Kedah, go look for Unggu Violet Bridal Gallery, based in Sungai Petani. 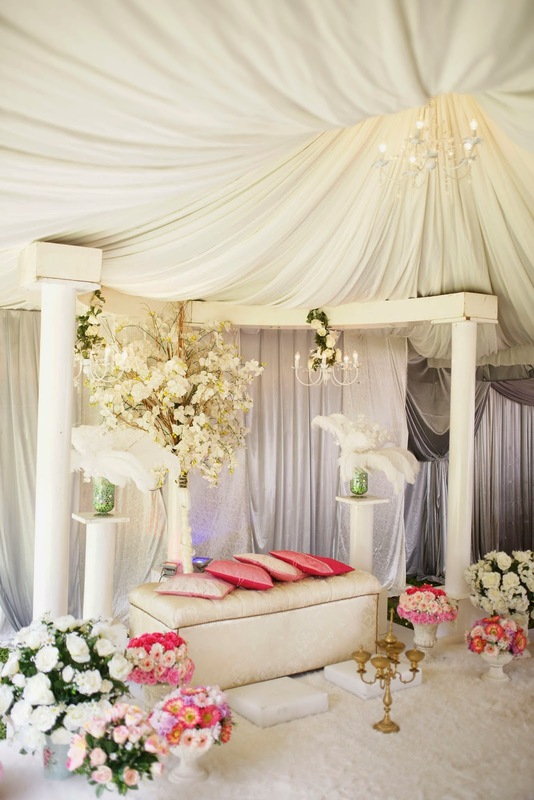 They specialized in canopy mostly, but they also do dais (they do collaborations with Zaha Wedding Planner sometimes). I had no problem with their customer service, they even came to my house a few weeks before the wedding to see my house lawn area to ensure their canopy plan works. Recommended for their prompt service. everytime baca post zatil psl wedding selalu buat hati anon runsing. omg banyaknya kena pakai duit!!! even nak buat wedding yg simple2 pon, kena ada food caterer juga, nak juga wedding yg elok2 cz org akan bercakap. Omg hahaha I swear it wasn't my intention! Tak payah spend banyak pun takpe, yang penting cari yang affordable. Dont worry, start planning now heheh :) thank you Anon!